I couldn't easily understand the narrator. Yes, if I concentrated and sat quietly, she made sense. However, in the casual type of listening that I do, usually doing something else like eating, walking, plane flights, I did not find her intelligible. I returned the book after about 30 minutes of listening. 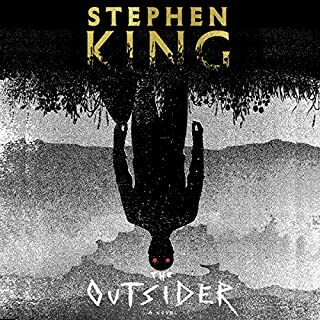 It is a testament to the literary skill of Stephen King, that as ridiculous as the plot was, I was gripped by it, especially the first third of the book. The plot twists were surprising and eventful. The characters were well-defined and interesting. My only criticism was that the book was too long and did drag for a while in the middle. Still, the suspense was great and, yes, I was caught up in it. This is the 10th book of the Prey series that I've read and, if anything, they get better. Sandford is the only series writer I know, who has the seemingly endless capacity to write exciting plots, none of which can be called "reruns." This police procedural was beautifully constructed, unfailingly exciting, and at least as believable as this genre permits. 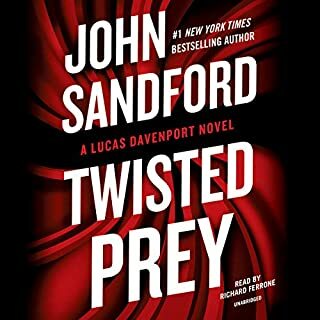 Twisted Prey should be as satisfying to Lucas Davenport fans, as to new-comers, who do not have to be familiar with prior books in the series to fully enjoy this latest entry. This dark novel is gripping. Based on 17th Century historical characters and events, it tells the story of an evil man who dedicates himself to the identification, trials and executions of over 100 women accused of witchcraft. The author injects into this history, fictional characters, imagined conversations, and events, while retaining what little is known about the history. It is brilliant and captivating historical fiction. I would suggest reading the print edition, skipping the audiobook for two reasons: 1. There were too many characters for me to keep them straight; and 2. The narrator was difficult to understand, both because of her accent and her particular voice. Some words were incomprehensible. 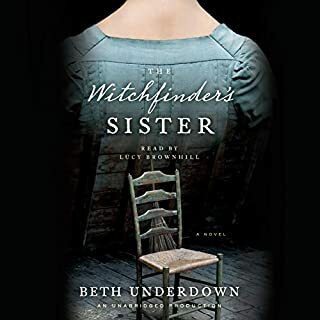 I liked many aspects of this book: the characters, mostly unlikeable, were very interesting; the plot was believable enough and very clever: the courtroom scenes were as exciting and as real as any I have read. But, at 21 hours, it was much, much too long, repetitious, needlessly complex, and had lots of sideshows and fillers, leading to periods of drag. While well-written and a good example of this genre, it simply was not worth living with for 21 hours. I don't know how much of this story is true and how much imagined by the excellent author, nor does it matter. This book is about great courage and great tragedy. I was engrossed in the plot and put things I was doing aside to continue listening. The epilog at the end is as exciting and tragic as the book itself. The plot centers around WWII Italy, particularly Milan. I used reading it as a reference point to research Italian WWII history, much of which I was only vaguely familiar with. 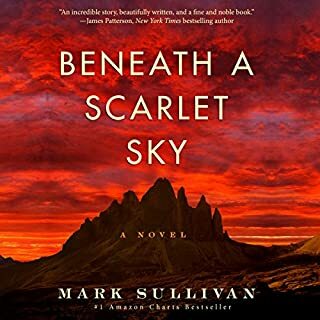 But above all, Beneath a Scarlet Sky is a captivating book, which has stayed with me long after I finished reading it. Much of the success of this book for me, was the reader, who was simply perfect. Due to the superb reader, this book may be better listened to than read. I found this book to be a slow-moving bore. The critics have raved about it because they love anything they can tie into gender, and they extol the books literary qualities, such as fine turns of phrase and imagery. Great if you are passing out an award, but for a general reader, this is a plodding read with no rewards at the end. The narration is adequate, neither adding to nor distracting from the book. With all the wonderful books available, this one is a good one to skip. Great listen with a historic perspective. 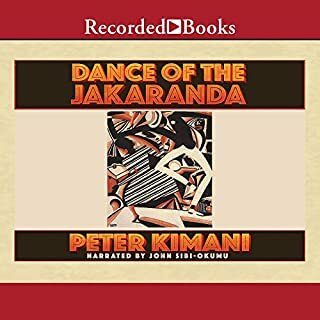 Having made two trips to Kenya, I was attracted to this novel by its historical setting: the history of three generations involved, in one way or another, in the building of the railroad from Mombasa to Lake Victoria, the construction of which started in the 1890’s. By the end of the novel, with Kenya independence in the early 1960’s, much had happened to the children and grandchildren of these early pioneers. I found their stories fascinating and somewhat tragic. In the end, this novel is more about people than it is about events, but both are intertwined in a beautiful, sensitive, exciting, interesting and surprisingly fast-movie story. I thought the narrator was just right for this book. Above average WWII spy drama, but not great. 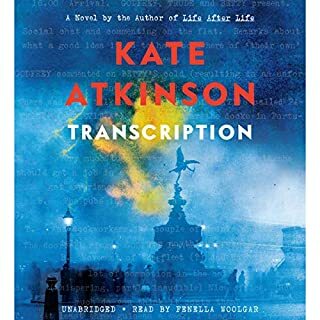 Although I enjoyed the plot and characters, the book was way too long and filled with tedious descriptions of things that didn’t enter into the plot, hence, it dragged at times. 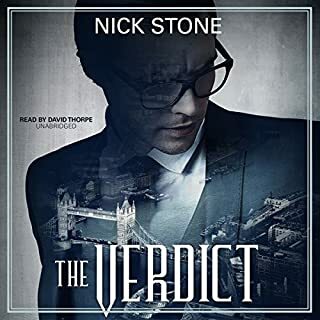 The plot, while complex, was still easy to follow as an audio book, and it was very well narrated. There is nothing new here for anyone even vaguely familiar with WWII history, but the story has enough suspense to have kept me listening until the end. The author is at work on a follow-up novel. I plan to pass it up. The war is over. Bernie Gunther, our sardonic former Berlin homicide detective and unwilling SS officer, is now living on the French Riviera. It is 1956, and Bernie is the go-to guy at the Grand-Hotel du Cap-Ferrat, the man you turn to for touring tips or if you need a fourth for bridge. As it happens, a local writer needs just that - someone to fill the fourth seat in a regular game that is the usual evening diversion at the Villa Mauresque. Not just any writer. Perhaps the richest and most famous living writer in the world: W. Somerset Maugham. As a devoted Bernie Gunther fan, I read all new books in the series, but this latest one is not one of Kerr’s best. The plot is far-fetched, confusing, too long, and not exciting until the very end. 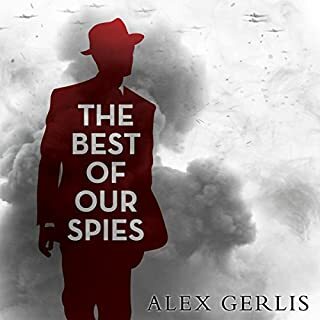 While Kerr usually excels in meticulous historical research, this book did not add much to my general knowledge of the infamous British spies or Somerset Maugham. 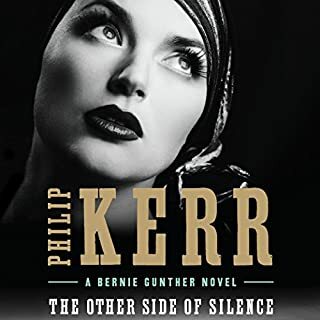 For fans like myself, reading The Other Side of Silence was a harmless exercise in completeness; for new readers, the original three books in the Berlin Noir series are still the best, and for recent additions, I like Prague Fatale the most.